The attempt to roll back net neutrality has officially begun. Ajit Pai, the Trump-appointed chairman of the Federal Communications Commission, laid out plans Wednesday to limit the agency's oversight of Internet service providers, potentially weakening enforcement of net neutrality. The net neutrality rules, approved by the FCC in 2015, are intended to keep the Internet open and fair. The rules prevent Internet providers from playing favorites by deliberately speeding up or slowing down traffic from specific websites and apps. As part of the 2015 process, the FCC voted to assert more regulatory control over Internet providers by reclassifying them as common carriers, similar to telephone services. 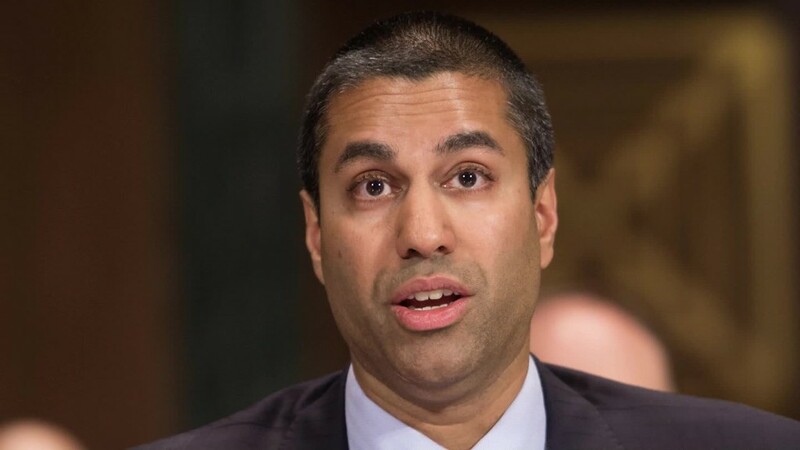 Pai has now issued a proposal to repeal that reclassification, called Title II, raising alarms among net neutrality advocates and throughout the tech industry. "Two years ago, I warned that we were making a serious mistake," Pai said in a speech at the Newseum in Washington D.C. "The more heavily you regulate something, the less of it you're likely to get." Pai and the telecom industry have framed the debate as less about the principle of net neutrality than the mechanism to enforce it. "AT&T continues to support the fundamental tenets of net neutrality," AT&T (T) CEO Randall Stephenson said in a statement Wednesday. "It was illogical for the FCC in 2015 to... regulate the Internet under an 80-year-old law designed to set rates for the rotary-dial-telephone era." AT&T has agreed to acquire Time Warner, the parent company of CNN. The deal is pending regulatory approval. Net neutrality advocates, however, argue this approach effectively guts the rules safeguarding the Internet. "If they get rid of the classification, they're certainly toothless to enforce strong net neutrality rules and other consumer protections," Gigi Sohn, a counselor to former FCC chairman Tom Wheeler, told CNNTech. Pai was vague in his speech on how the FCC would enforce net neutrality without Title II. His full proposal is expected to be published online Thursday and be voted on by the FCC on May 18. Then it will go through a period of public feedback. "This will be the beginning of the discussion, not the end," Pai said. The fireworks kicked off even before Pai's speech began. More than 800 startups signed a letter to Pai on Wednesday urging him to protect net neutrality. "We ... depend on an open Internet -- including enforceable net neutrality rules that ensure big cable companies can't discriminate against people like us," they wrote. The Internet Association, a trade group representing Facebook (FB), Google (GOOGL) and Amazon (AMZN), stressed the importance of defending current net neutrality rules in a meeting with Pai earlier this month. "We support strong net neutrality rules and will continue to fight for rules that protect the open Internet," a Facebook spokesperson said in a statement provided to CNNTech. Hours before the speech, several Senate Democrats held a press conference making clear their intention to fight any rollback of the rules. "We need to put together a strategy... that mobilizes public opinion, that reaches out to the chairman and others on the commission," Senator Richard Blumenthal said in the conference. "What our focus should be is a strategy to stop this potential change." In 2014, dozens of tech companies staged an Internet Slowdown Day to call attention to the issue, with big companies like Netflix (NFLX) leading the charge. There were also offline protests. Demonstrators even showed up at the home of then-FCC chairman Tom Wheeler. "Hell hath no fury like the Internet scorned," Evan Greer, campaign director at Fight For The Future, which helped organize previous protests for net neutrality, said in a press conference Wednesday. But some advocates have worried it may be harder this time around given clear opposition from a Republican Congress and a new FCC chairman. President Trump's personal views on net neutrality are less clear. Pai, a former counsel for Verizon (VZ), has slammed the FCC's earlier approach to net neutrality as a "mistake" and begun chipping away at the edges of it. The FCC chairman also endorsed the decision of Congress and Trump to undo Internet privacy protections put in place in the final weeks of the Obama administration.